LISA indicates Longitudinal Integration Database for Health Insurance and Labour Market Studies. National Board of Health and Welfare. The Swedish Medical Birth Register: a summary of content and quality. Stockholm, Sweden: National Board of Health and Welfare; 2003. http://www.socialstyrelsen.se/publikationer2003/2003-112-3. Accessed March 21, 2017. Hundar, katter och andra sällskapsdjur: 2012. Report from Statistics Sweden. https://www.skk.se/globalassets/dokument/om-skk/scb-undersokning-hundar-katter-och-andra-sallskapsdjur-2012.pdf. Accessed March 21, 2017. Allison PD. Fixed Effects Regression Models. Vol 160. Los Angeles, CA: Sage Publications; 2009. Question Is dog exposure during early life linked to type 1 diabetes risk? Findings In this Swedish nationwide, register-based cohort study including 840 593 children and 1999 diabetes events, no evidence was found for an association between register-derived measures of dog exposure and childhood-onset type 1 diabetes. Meaning Advice on exposing children to animals to lower risk for type 1 diabetes is likely not effective. Importance The association between early exposure to animals and type 1 diabetes in childhood is not clear. Objective To determine whether exposure to dogs during the first year of life is associated with the development of type 1 diabetes in childhood. Design, Setting, and Participants A nationwide cohort study utilizing high-quality Swedish national demographic and health registers was conducted. A total of 840 593 children born in Sweden from January 1, 2001, to December 31, 2010, were evaluated. Type 1 diabetes was identified using diagnosis codes from hospitals and dispensed prescriptions of insulin. Cox proportional hazards regression models were used to assess the association between exposure to dogs and risk of type 1 diabetes in childhood. The possible association was further investigated by performing dose-response and breed group–specific analyses. The cohort was followed up until September 30, 2012. Data analysis was conducted from October 15, 2015, to February 8, 2017. Exposures Having a parent who was registered as a dog owner during the child’s first year of life. Main Outcomes and Measures Childhood-onset type 1 diabetes. Results Of the 840 593 children reviewed, 408 272 (48.6%) were girls; mean (SD) age at diagnosis of type 1 diabetes was 5.1 (2.6) years. Dog exposure was identified in 102 035 children (12.1%). Follow-up started at age 1 year, and the children were followed up for as long as 10.7 years (median, 5.5 years). During follow-up, 1999 children developed type 1 diabetes. No association was found between exposure to dogs (adjusted hazard ratio [HR], 1.00; 95% CI, 0.86-1.16) and type 1 diabetes in childhood. The size of the dog (adjusted HR per 10-cm increase in height, 0.96; 95% CI, 0.86-1.06) or number of dogs in the household (1 dog: adjusted HR, 1.07; 95% CI, 0.91-1.26; 2 dogs: 0.79; 95% CI, 0.54-1.15; ≥3 dogs: 0.50; 95% CI, 0.23-1.12; compared with nonexposed children) also was not associated with type 1 diabetes risk. An analysis of children whose parent had type 1 diabetes (210 events) yielded an adjusted HR of 0.71 (95% CI, 0.43-1.17) for dog exposure. Conclusions and Relevance In a nationwide study, no evidence supporting an association of register-derived measures of dog exposure with childhood type 1 diabetes was identified. Sweden has among the highest incidence rates in the world of type 1 diabetes with 47 new cases per 100 000 person-years in children aged 5 to 10 years.1 The incidence of type 1 diabetes in European children increased 3% to 4% annually between 1989 and 2008,2 suggesting that a change in environmental factors influences the development of type 1 diabetes. 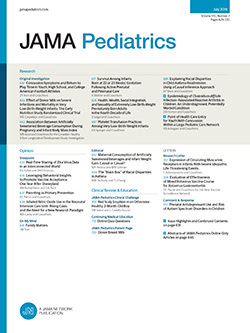 The hygiene hypothesis3 proposes that improved hygienic standards have reduced the microbial exposure during early childhood, leading to an impaired immune system and increased risk of immune-related diseases.4 Studies on risk factors, such as sibling order,5 delivery by cesarean section,6 and antibiotic treatment,7 has so far not provided consistent evidence in favor of this hypothesis. Early life exposure to animals has been suggested to increase microbial exposure and thereby decrease the risk of type 1 diabetes.8 Adult dog owners have an altered bacterial flora on their hands9 and in the house dust10 compared with nonowners. Children living on farms are exposed to a wider range of microbes than are other children.11 How large an effect a dog has on the home environment microbial load probably depends on breed-specific characteristics, such as size, type of coat, and time spent outdoors. For example, it is likely that a large dog brings a greater amount of microbes inside the house than a small dog, and some breeds might spend more time in the forest than others and therefore contribute a different composition of microbes to the home compared with breeds mostly walked in urban settings. Moreover, in Sweden, some breeds, for example hunting dogs, are likely to be kept outside more and may have less contact with the children in the home. The objective of this study was to assess the association between dog exposure and childhood type 1 diabetes in a Swedish nationwide, register-based cohort study. We also explored the association between farm animal exposure and childhood type 1 diabetes. The study cohort consisted of all children born in Sweden between January 1, 2001, and December 31, 2010, identified through linkage of the Swedish Total Population Register15 and the Medical Birth Register16 (Figure) using the personal identity number. Children were followed up from birth until the onset of type 1 diabetes, death, emigration, or September 30, 2012. Fathers were identified from the Multi-Generation Register15 and mothers from the Medical Birth Register. Children with incomplete information about parental identity, country of birth, or migration, or those who died or emigrated before their first birthday were excluded. Children were also excluded if both parents immigrated to Sweden after the age of 15 years or if 1 or both parents did not live in Sweden the full year before the child’s birth because they are less likely to have accurate and complete information. Additional information about the registers and the personal identity numbers is available in the eTable in the Supplement. The Regional Ethical Board in Stockholm, Sweden, approved this study and allowed the researchers to waive the requirement for obtaining informed consent or parental permission. Dog exposure was defined as having a parent registered as a dog owner during the child’s entire first year of life in the Swedish Board of Agriculture or the Swedish Kennel Club dog registers. In Sweden all dogs are required by law to be registered, and it has been estimated that 83% (95% CI, 78%-87%) of pet dogs were registered in 2012.17 We assumed that a parent was a dog owner from the date of dog registration until a reported change in ownership or the death of the dog. If no death date for the dog was reported, we assumed a maximum age of 10 years. We defined farm animal exposure as having a parent identified in the Longitudinal Integration Database for Health Insurance and Labour Market Studies (LISA) as “animal producer and related worker, SSYK6121” in the year the child was born. Detailed information about dog and farm animal exposure appears in the eMethods in the Supplement. We collected information concerning the child’s birth and maternal smoking from the Medical Birth Register. Parental income and educational level information was collected from the LISA register. Detailed information appears in the eMethods in the Supplement. We applied Cox proportional hazards regression models, using age as timescale, to assess the association between exposure to dog and farm animals during the first year of life and the risk of type 1 diabetes. Follow-up started at age 1 year, and children with insulin treatment before 1 year were excluded (n = 47). Children were censored at emigration, death, or end of follow-up (September 30, 2012). We used a robust sandwich covariance matrix estimate to account for the lack of independence of children within the same family. The assumption of proportional hazards was visually checked by plotting the Schoenfeld residuals against rank time and fitting a smooth curve with 95% confidence bands. Potential confounders were selected for adjustment based on directed acyclic graphs18 taking into account prior knowledge regarding associations with dog and farm animal exposure and type 1 diabetes. According to the resulting directed acyclic graphs (eFigure in the Supplement), we adjusted for mother’s age, maternal type 1 diabetes, paternal type 1 diabetes, parity, household income, mother’s education, father’s education, mother’s country of birth, father’s country of birth, dog and farm animal (dog and farm animal exposure were included in the same model), population density, and geographic location. Furthermore, we adjusted for population density and geographic location by stratifying the baseline hazard function on parish. Only parishes with at least 1 type 1 diabetes event and at least 1 type 1 diabetes–free individual at the age of event in the type 1 diabetes case contribute to the estimations of the stratified Cox proportional hazards regression model; informative sample size is thus reported for stratified analyses.19 Results are reported both as crude and adjusted hazards ratios (HR) with 95% CIs. To assess a possible dose-response relationship between dog exposure and type 1 diabetes, we performed 2 additional analyses: 1 accounting for the number of dogs in the household and 1 where the height of the tallest purebred dog in the household was used as a gradient of exposure. We furthermore used the Swedish Kennel Club’s definition of breed groups to categorize the breeds into groups and tested the association across the groups. The analysis of breed groups was based on children exposed to only 1 breed group and nonexposed children (reference group). We performed a subgroup analysis of children whose parent had type 1 diabetes as well as analyses restricted to parents born in Sweden and to first-born children. Furthermore, an analysis with follow-up starting at age 2 years was performed to assess whether misclassifying neonatal diabetes as type 1 diabetes affected our results. Finally, we evaluated the effect of a potential misclassification of dog exposure. First, we performed a deterministic sensitivity analysis assuming nondifferential misclassification and calculated bias-corrected incidence rate ratio20 for different sensitivities (0.70-0.85) and specificities (0.97-1.00). We further evaluated the effect due to missing death date for the dog by performing analyses assuming a maximum age of 8 or 12 years. We also restricted the study cohort to children born during 2006-2010 as the coverage probably improved over time. Analyses were performed using SAS, version 9.4 (SAS Institute Inc). Data analysis was conducted from October 15, 2015, to February 8, 2017. There were 840 593 children (408 272 girls [48.6%]) in the study cohort, and median length of follow-up was 5.5 years (range, 1 day to 10.7 years) from their first birthday. Follow-up was terminated for 7530 children because of emigration (6980) or death (550). During follow-up (4 683 793 person-years), 1999 cases of childhood-onset type 1 diabetes were recorded. The mean (SD) age at diagnosis was 5.1 (2.6) years. A total of 102 035 (12.1%) children were classified as exposed to dogs (Table 1), and dog ownership was more common in rural areas. Median height of the largest purebred dog in the household was 56 cm (25th percentile, 40 cm; 75th percentile, 61 cm). The incidence rate of type 1 diabetes was 44.9 cases per 100 000 person-years among children exposed to dogs and 42.4 cases per 100 000 person-years among the nonexposed children. No association was found between exposure to dogs and type 1 diabetes (adjusted HR, 1.00; 95% CI, 0.86-1.16) (Table 2) or with the number of dogs (1 dog: adjusted HR, 1.07; 95% CI, 0.91-1.26; 2 dogs: 0.79; 95% CI, 0.54-1.15; ≥3 dogs: 0.50; 95% CI, 0.23-1.12; compared with nonexposed children) (Table 3). Furthermore, no association was found between the height of the dog and type 1 diabetes (adjusted HR per 10-cm increase, 0.96; 95% CI, 0.86-1.06). In this cohort, children exposed to retrievers were at increased risk of type 1 diabetes compared with nonexposed children (adjusted HR, 1.60; 95% CI, 1.22-2.11) (Table 4). The sensitivity analyses had little effect on the estimates. We found no association between exposure to farm animals and type 1 diabetes (Table 2). In other analyses, the deterministic sensitivity analysis for dog exposure, assuming nondifferential misclassification, yielded bias-corrected incidence rate ratios that ranged from 1.06 to 1.08. In this nationwide, population-based cohort, we found no evidence that children exposed to dogs or farm animals during their first year of life were at reduced risk of childhood type 1 diabetes (1997 events, adjusted HR, 1.00; 95% CI, 0.86-1.16). A German case-control study of 242 case and 224 hospital-recruited control participants14 reported a nonsignificant inverse association between dog exposure and clinical type 1 diabetes (adjusted OR, 0.67; 95% CI, 0.44-1.04). However, exposure was defined as regular contact with a dog ever during the study period; we restricted the exposure period to the first year of life, which makes comparison between the studies difficult. We hypothesized that animal exposure has an effect on the child’s microbiome composition and since early microbiome plays a pivotal role in the development of the immune system, we restricted the exposure period to the child’s first year of life. In contrast, a Swedish cohort study21 reported that dog exposure during the first year of life was associated with positivity for glutamic acid decarboxylase (crude OR, 1.3; 95% CI, 1.0-1.8). However, dog exposure was not associated with positivity of 2 other autoantibodies in that study, and a large number of exposures were tested. Our study is better powered than these 2 previous studies and suggests no major influence of dog exposure during the first year of life on type 1 diabetes risk in the general population. Virtanen et al8 monitored a high-risk birth cohort of 3143 children with human leukocyte antigen DQB1–conferred susceptibility to type 1 diabetes. Indoor dog exposure during the first year of life had an adjusted OR of 0.40 (95% CI, 0.14-1.14) for clinical type 1 diabetes (51 events). Information about human leukocyte antigen susceptibility to type 1 diabetes was not included in our study, but a subgroup analysis of children who had a parent with type 1 diabetes (210 events) yielded an adjusted HR of 0.71 (95% CI, 0.43-1.17), lending some support to the Virtanen et al8 result that dog exposure might be inversely associated with type 1 diabetes in high-risk children. Furthermore, Virtanen et al8 found an association of indoor dogs with seroconversion to type 1 diabetes (adjusted OR, 0.47; 95% CI, 0.28-0.80) but no association with outdoor dog exposure. We lacked information about whether the dog was kept inside or outside, which could have diluted our estimates if the proportion of outside dog owners was large. However, the practice of keeping dogs outdoors only is rare in Sweden today, and the influence, if any, on the results should be limited. Also, the type of dog typically associated with outdoor-only management (Spitz and primitive types) showed no excess risk in our data. Virtanen et al8 stated that the association with indoor dogs could be a spurious finding since they tested several other exposures in the study. To our knowledge, this is the first study performing dose-response and breed group–specific analyses. We found no clear dose-response relationship but identified a higher risk of childhood-onset type 1 diabetes among children exposed to retrievers compared with children not exposed to any dog. The result for the retrievers is not in line with our hypothesis, and we believe that it most likely is a spurious finding. Having older siblings or Sweden-born parents may influence both the risk of type 1 diabetes and the choice of having a pet. However, restricting the cohort to first-born children or excluding children of immigrants did not change the results. In line with earlier studies, we found no association between farm animal exposure and type 1 diabetes, but the number of children exposed to farm animals was low in our study and the statistical power to detect meaningful differences was limited. In a Finnish cross-sectional study,13 living on a farm with animals ever until the age of 18 years was inversely, but not significantly, associated with type 1 diabetes (adjusted OR, 0.54; 95% CI, 0.05-2.24; P = .46). Radon et al14 studied regular contact with farm animals ever during the study period and found no association with type 1 diabetes. Virtanen et al8 studied farm animal exposure during the first year of life and reported an adjusted OR of 0.79 (95% CI, 0.12-5.15). However, all of these studies, including our study, had a low number of children exposed to farm animals, and the results are not precise enough to make a firm conclusion. To our knowledge, this is the first prospective, nationwide cohort study utilizing registers on this subject. The register-based design has several strengths, including use of high-quality data that provided objectively and prospectively collected measures of exposure, potential confounders, and a validated outcome. Moreover, in Sweden there is a geographic variation in both type 1 diabetes incidence and likelihood of owning a dog and, by stratifying on parish, we were able to adjust for all parish-constant confounders. Even though some parishes lacked variation in the outcome, performing a stratified analysis caused only a minimal loss of type 1 diabetes events and therefore a limited loss of power. Finally, the population-based design enables generalization to the Swedish population and likely also to other European populations with similar cultures regarding dog ownership and farming. However, the follow-up time was limited since mandatory registration in the dog register started in 2001. Hence, we could study only early-onset type 1 diabetes, which limits the external validity. The study has some limitations. First, the exposure measure likely has some degree of misclassification. Although dogs are required by law to be registered, approximately 80% of the total dog population in Sweden is registered. The coverage is probably higher in the end of the study period than in the beginning. However, restricting our study cohort to children born between 2006 and 2010 did not change the results. In addition, the information on the dog death dates was incomplete and we assumed a maximum life-span of 10 years. However, changing to 8 or 12 years had no effect on the results. We also lacked information about exposure to animals outside the home, visiting dogs, and if the registered dog was an indoor or outdoor dog, which could modify the exposure to the child. We find it most likely that the misclassification of dog exposure is nondifferential and the bias-corrected incidence rate ratio did not differ substantially from the observed incidence rate ratio, alleviating concerns of misclassification bias. Furthermore, children whose parents work on farms not located close to their home will be misclassified as farm animal exposed. Most farms in Sweden are managed as a family business; therefore, we think that the risk of misclassification is low and will probably yield only a small underestimation of a potential farm animal effect. Another limitation was that we were not able to ensure that the parents worked on a farm during the child’s entire first year of life. Second, the SPDR contains prescriptions from July 1, 2005; therefore, children with type 1 diabetes who died or emigrated before that date could have been misclassified. However, in our study only 1 child had a type 1 diabetes diagnosis in the National Patient Register and emigrated before July 1, 2005 (no child died); thus, the late start of the SPDR had no effect on our results. Moreover, although we believe that our study is the largest to date, the number of children exposed to farm animals was low and we had a limited number of children who had a parent with type 1 diabetes, which limited the power in these analyses. In our nationwide study we did not find evidence supporting an association of register-derived measures of animal exposure with childhood diabetes in the general population. Advice on exposing children to animals to lower the risk for type 1 diabetes is likely not effective. Accepted for Publication: February 21, 2017. Corresponding Author: Tove Fall, PhD, Department of Medical Sciences, Molecular Epidemiology and Science for Life Laboratory, Uppsala University, PO Box 1115, 751 41 Uppsala, Sweden (tove.fall@medsci.uu.se). Author Contributions: Dr T. Fall had full access to all the data in the study and takes responsibility for the integrity of the data and the accuracy of the data analysis. Study concept and design: Wernroth, Almqvist, T. Fall. Drafting of the manuscript: Wernroth. Critical revision of the manuscript for important intellectual content: T. Fall, Svennblad, K. Fall, Fang, Almqvist. Obtained funding: Almqvist, T. Fall. Administrative, technical, or material support: Fang, T. Fall. Supervision: Svennblad, K. Fall, Almqvist, T. Fall. Funding/Support: Financial support was provided by Diabetesfonden grant DIA 2014-026, Swedish Research Council grant 2015-03477, and the Swedish Initiative for Research on Microdata in the Social and Medical Sciences framework grants 80748301 and 340-2013-5867. Additional Contribution: Åsa Eck, BSc (Uppsala Clinical Research Center, Uppsala University), contributed to data management and Hanna Malmros, BSc, and Jakob Malmros (Department of Medical Epidemiology and Biostatistics, Karolinska Institutet) assisted with the breed standards. There was no financial compensation.